Having a newly created bottle of homemade Blackberry Simple Syrup from my Blackberry Daiquiri of yesterday, I decided I'd better get at least one more cocktail out of the delicious syrup before I poured it all on pancakes or ice cream in the next few days. Since Q.C. Malting Company had sent me samples of their Lemon Shrub Malt Liquor, I thought the combo sounded like the beginning of a nice afternoon cocktail cooler and got to it. Good thing I made that syrup too because I was in danger of finishing every one of those Lemon Shrubs before I ever got around to making a cocktail. Yup they're that good, and perfect for 90° March Tucson temperatures, so the danger was real. DIRECTIONS Chill mug in freezer. Crush ice. 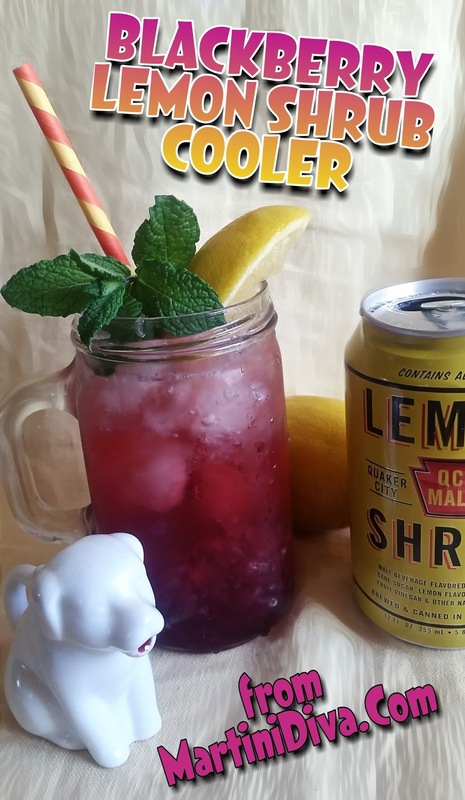 Fill the chilled mug with the crushed ice, gently rub the mint leaves between your fingers and drop on top of the ice. 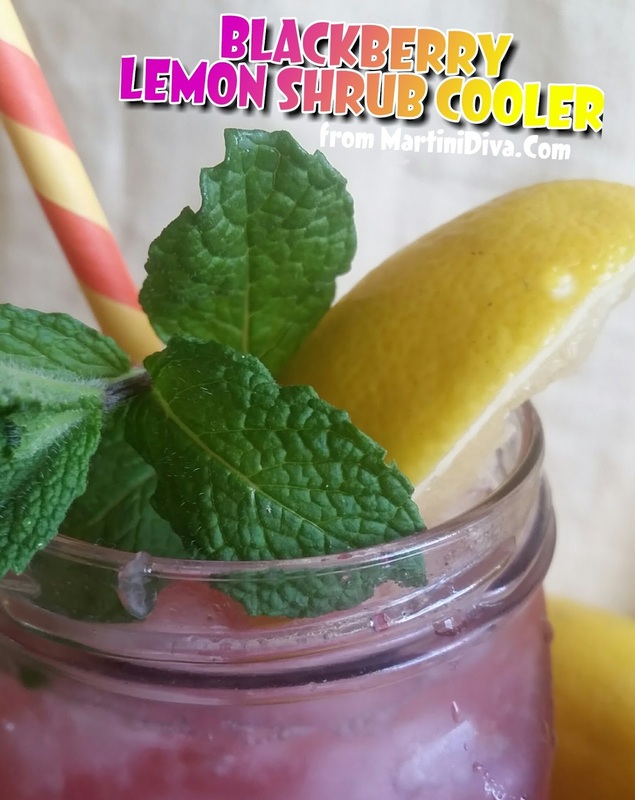 Pour the Blackberry Simple Syrup over the ice, top off with the Lemon Shrub, garnish and serve.